Home > Breaking News > 14,596 Reasons to Buy Alphabet, Inc.
14,596 Reasons to Buy Alphabet, Inc.
There’s been a tectonic shift in what constitutes value in the public markets. At one time the predominant metric of value was a low price-to-book value, as it signified more income-producing assets (property, equipment, and machines) on company balance sheets. Over the last decade, however, value investing has proven to be a losing strategy , with a 2017 Goldman Sachs report finding value investing would have produced a loss of 15% in the last decade, while the S&P 500 approximately doubled. Instead, recent winners have been light-asset technology companies that are able to leverage the collective intelligence from their workforces to effectively monetize high-margin, scalable products and services. As such, a green light from the U.S. Patent and Trademark Office is considered the new groundbreaking ceremony. In the last seven years, Alphabet ‘s (NASDAQ: GOOG) (NASDAQ: GOOGL) been one of the more prodigious patent filers, minting 14,596 patent applications from 2009 to late 2016, according to data from CB Insights . If investors have faulted Alphabet, it’s likely due to the company’s penchant for undisciplined spending on noncore business functions. Specifically, Alphabet’s faced criticism for its spending in what it affectionately calls “moonshots,” or side project businesses such as Verily and Fiber, reported in the company’s other bets business segment. Under new CFO Ruth Porat, the company has taken this criticism to heart by slimming expenses in its other bets segment. In the third quarter, the company reported an $812 million operating loss from this segment, down 5.7% from the year prior even though the company reported 50% higher revenue. However, it’s always been Alphabet’s policy to take strategic risks on innovation, both within the Google and other bets segments, and that is reflected in more than spending. In the company’s 2004 IPO letter, founders Larry Page and Sergey Brin noted they encouraged their employees to take 20% of their time as free time to think of new products to help the company. This free time led to important products like Gmail and Google News. Of course, investing in innovation is different than buying a building or a machine. The biggest difference is the asymmetric nature of internally developed patents. GOP tax bill notwithstanding , long-lived physical assets like plants and equipment are generally recorded on the balance sheet at purchase price and expensed (aka depreciated) over a predetermined period. However, the internal costs to develop patents are generally expensed as occurred, showing up immediately on the income statement as research and development. As such, it’s more likely physical assets are better matched to the revenue and the value they create on the income statement than patents. 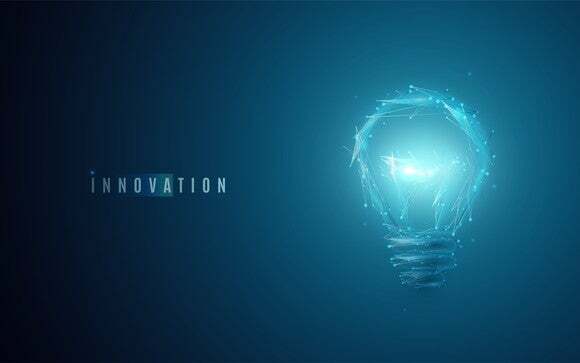 Because the long-term benefits of innovation and patents are often recognized in future periods, with many having long-term or infinite value, it’s often hard to gauge the immediate effects of innovation by simply looking at financial statements. Therefore, it’s hard to know what patents will be fruitful and which will be wasteful spending. In that case, it’s better to take a holistic view of a company when it comes to patents and innovation. Over the last decade, Alphabet’s management has an enviable track record of monetizing new breakthroughs. Therefore, investors should trust management to develop high-quality patents and bring new ideas to market like Gmail and Google News, which will keep its top line growing for years to come. David and Tom just revealed what they believe are the 10 best stocks for investors to buy right now… and Alphabet (A shares) wasn’t one of them! That’s right — they think these 10 stocks are even better buys. Suzanne Frey, an executive at Alphabet, is a member of The Motley Fool’s board of directors. Jamal Carnette, CFA owns shares of Alphabet (C shares). The Motley Fool owns shares of and recommends Alphabet (A shares) and Alphabet (C shares). The Motley Fool has a disclosure policy .